That title isn’t clickbait. I’m not even kidding with this one. You can say “send a Hangouts message” in Google Now, with your voice, and it will actually send a message in Hangouts with your voice. I don’t know when this went live, but it’s live. It will ask who you want to send it to, then what your message is, before confirming that you want to send. We aren’t talking SMS here – this is legitimate Hangouts messaging with your voice. You still think I’m joking, I know. I get why you would think that I’m joking. Seriously, though, go try it. 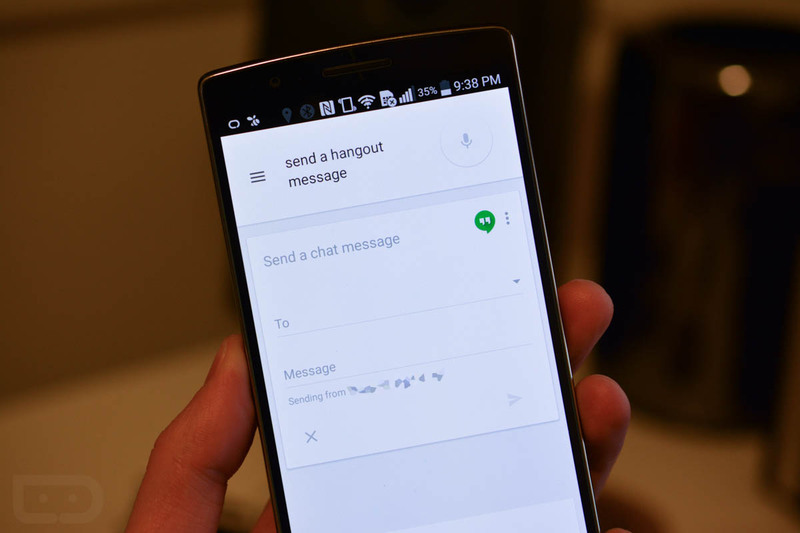 You can finally send a Hangouts message with your voice in Google Now.